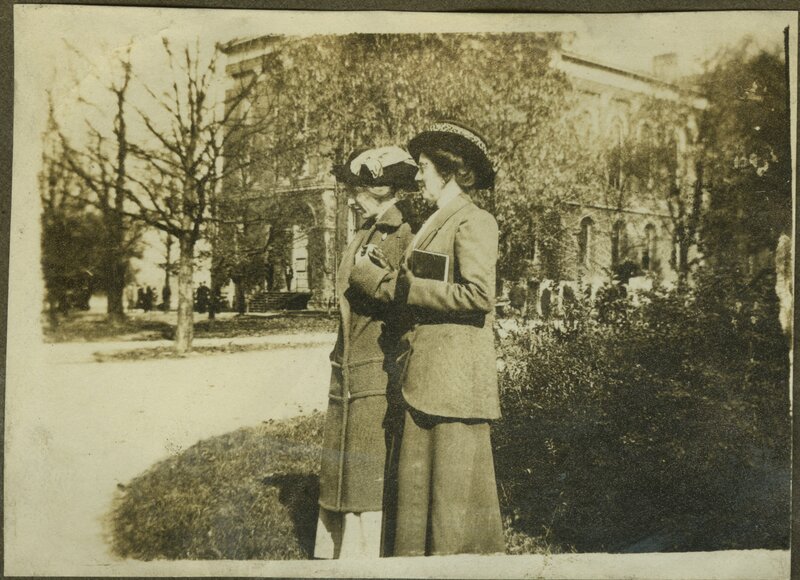 PA61M281: [identification of item], Collection on Elizabeth Madox Roberts, University of Kentucky Archives. Elizabeth Madox Roberts (1881-1941) was born in Perryville, Kentucky and raised in Springfield. She enrolled at the State College of Kentucky (now the University of Kentucky) but her chronic respiratory illnesses lead to her withdrawing before the end of her first semester. Roberts worked as an elementary school teacher in Springfield, Kentucky until her relocation to Colorado in 1910. It was here Roberts published her first volume of poetry. 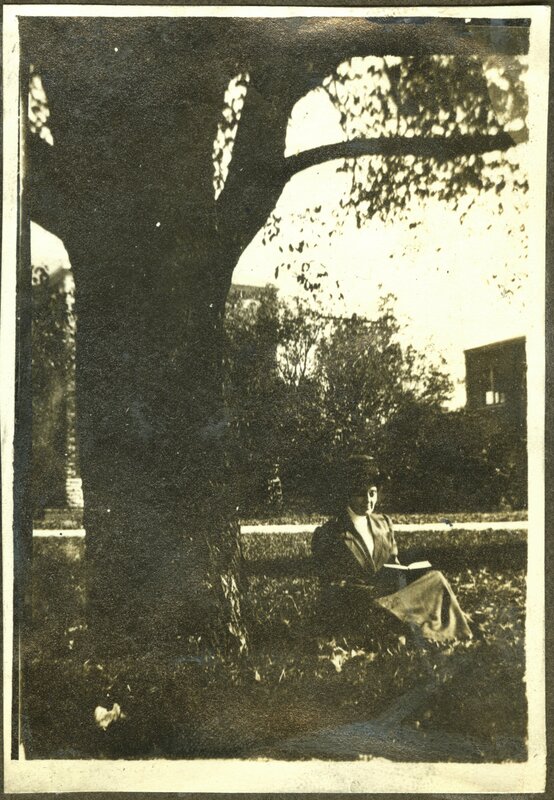 In 1916, she was accepted to the State College of Kentucky but never enrolled, instead choosing to study writing at University of Chicago. Roberts published verse in both Poetry and Atlantic Monthly after graduation. In 1926, her poetry collection The Time of Man was published to international acclaim. Roberts would go on to publish nine more collections and novels before her declining health caused by Hodgkin's disease. She died at her Orlando, Florida home in 1941 and was buried in Springfield, Kentucky. 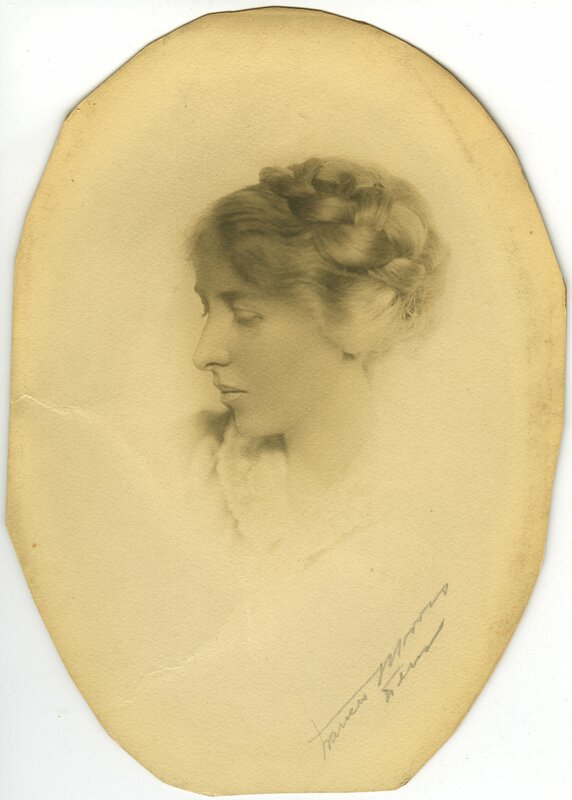 Collection consists of four gelatin silver prints, two portraits of Elizabeth Madox Roberts, and two snapshots from a photo album feature Roberts and fellow poet Lucia Clark Markham on the University of Kentucky campus in 1913. Conditions Governing Access note The collection is open for research use. 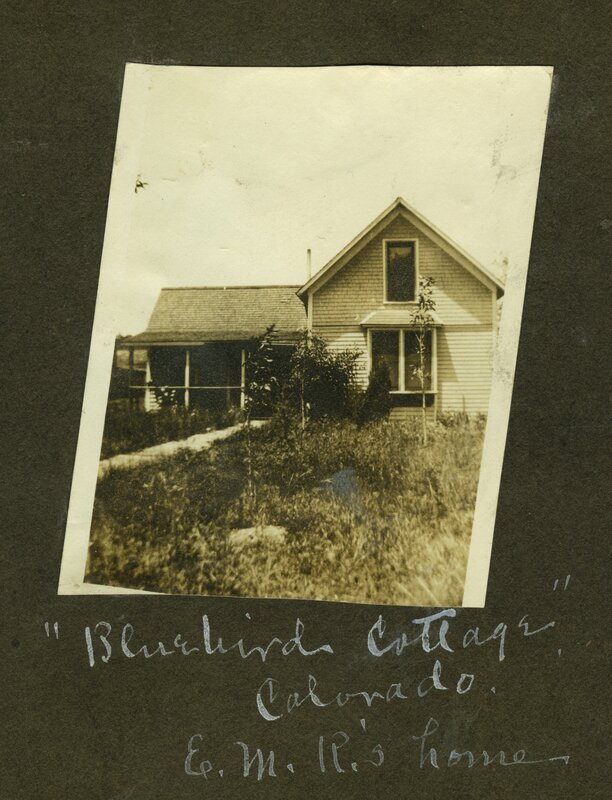 All images in the collection reside in the public domain. Photographs may be reproduced with permission from Audio-Visual Archives, University of Kentucky Libraries.